Elizabeth Arden Ceramide Time Complex Moisture Cream SPF 15is a super charged moisturiser that minimises the appearance of the visible signs of aging. Elizabeth Arden Ceramide Time Complex Moisture Cream SPF 15 boost skin's hydration level and helps to provide all-day (up to 15 hours) skin-essential moisture. 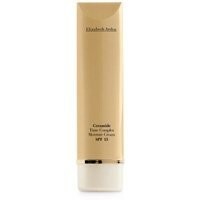 Elizabeth Arden Ceramide Time Complex Moisture Cream SPF15 also reduces the appearance of fine lines and wrinkles, while a unique combination of Ceramides I and III helps prevent vital moisture loss.